ALFA Romeo is playing its part in the Goodwood Festival of Speed, one of the most prestigious events on the international motoring calendar, starts this Thursday, June 26, and runs until Sunday. 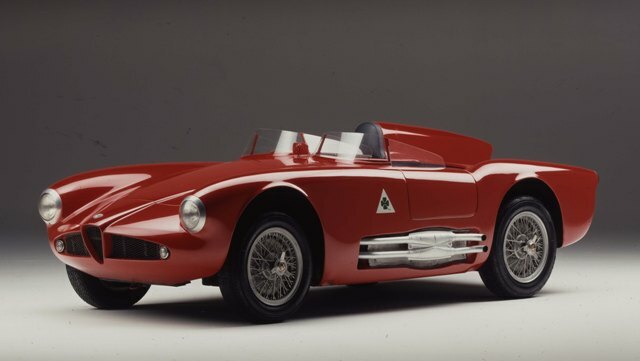 There will be eight Alfa Romeo cars present: Five from the Museo Storico Alfa Romeo, representing the brand’s rich racing and engineering heritage, as well as the three highest-performance models from the current range. The event is also a celebration of the 60th anniversary of the Alfa Romeo Giulietta: Unveiled at the 1954 Turin Motor Show, the Giulietta Sprint is one of the most iconic products of the brand as it made the dream of owning an Alfa Romeo accessible to motorists for the first time. Alfa Romeo is delighted to welcome a star guest to its line-up: Toine Hezemans, “The Flying Dutchman”, who notched up numerous victories in various iterations of the legendary Alfa Romeo GTA – including the driver’s title in the 1970 European Touring Car Championship – will once again be behind the wheel of a 1971 Alfa Romeo GTA 1300 Junior on the Goodwood hillclimb. Setting the times behind the wheel of the Alfa Romeo 4C in the Supercar run will be Rupert Keegan, an ex-Formula One racer of the late 70s and early 80s. Away from the track, the Alfa Romeo stand will not only will afford the British public its first chance to see the new Alfa Romeo MiTo and Giulietta Quadrifoglio Verde in the metal, it will also have the Alfa Romeo 4C supercar on display alongside an original 1954 Alfa Romeo Giulietta Sprint. 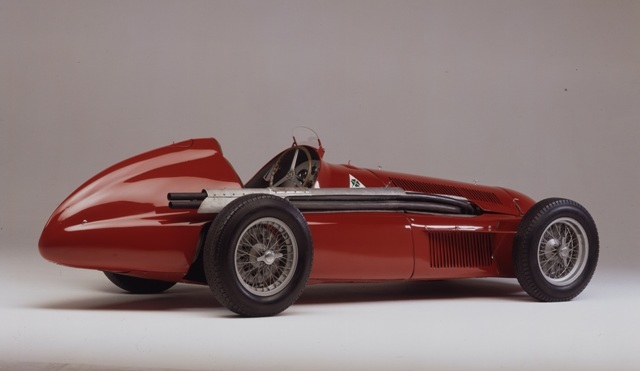 The Alfa Romeo Tipo B, better known as the P3, is one of Vittorio Jano’s masterpieces. Standout technical features of the legendary single-seater racer include its dual-supercharged 8C straight-eight engine and an innovative rear suspension which helped it out-handle its competition. All the most famous drivers of the 30s have sat behind the wheel of Tipo B cars: Nuvolari, Varzi, Caracciola, Trossi, Chiron and Moll all tasted victory in major international competitions in 1932 and 1933. Tazio Nuvolari’s victory over the strong field of German competitors at Nürburgring in 1935 is a particular highlight of the P3’s illustrious history. Juan Manuel Fangio won the first of his five F1 World Championship titles in 1951 behind the wheel of the single-seater Alfa Romeo 159 Alfetta. An evolution of the 158, which claimed the first World Champion in 1950 in the hands of Giuseppe “Nino” Farina, the 159 adopts a more sophisticated De Dion rear axle, improved aerodynamics and an upgraded, straight-eight 1.5-litre engine with dual-stage supercharger which could produce a peak output of up to 450hp. The Alfa Romeo 750 Competizione is a two-seater racing car that was designed to compete in the 1.5-litre sports car class. 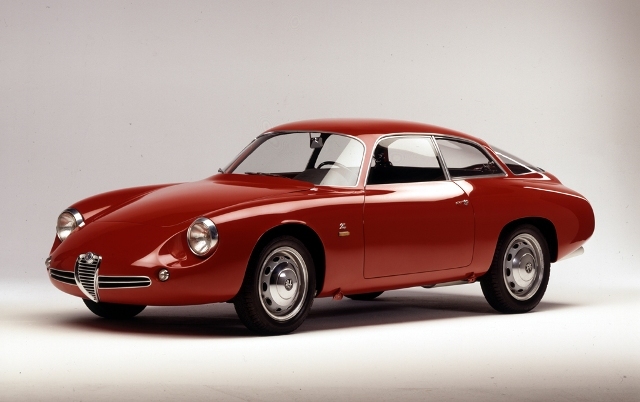 Its 1,488cc engine is derived from the contemporary “Giulietta” and produces an astonishing 145hp which, together with its particularly low weight, would have made the vehicle highly competitive had it ever competed. Sadly, the project never reached its full potential and what is coming to Goodwood is only one of two ever built and the only car in full working order. The Alfa Romeo Giulietta SZ (Sprint Zagato) is one of the most performance-oriented versions of the original Giulietta, as well as the rarest – only 30 were ever built in Coda Tronca (stub-tail) guise. It is capable of reaching 200km/h (124mph) – an astonishing speed when you consider it was powered by a little 1.3 litre engine. However, this was Alfa Romeo’s legendary twin-cam 1.3-litre which produced 100hp and which, when combined with the aluminium, aerodynamic Zagato body and ultra-low 740kg weight, resulted in impressive performance and handling, making it a favourite car for gentlemen drivers in the 1960s. The Alfa Romeo GTA 1300 Junior incorporates some of the most advanced engineering of the late 1960s. Evolved from the original 1.6-ltire GTA of 1965 and using technologies such as direct injection and dual ignition, Autodelta (Alfa Romeo’s racing division) was able to squeeze 170hp from its 1.3-litre, normally aspirated, twin-camshaft engine. 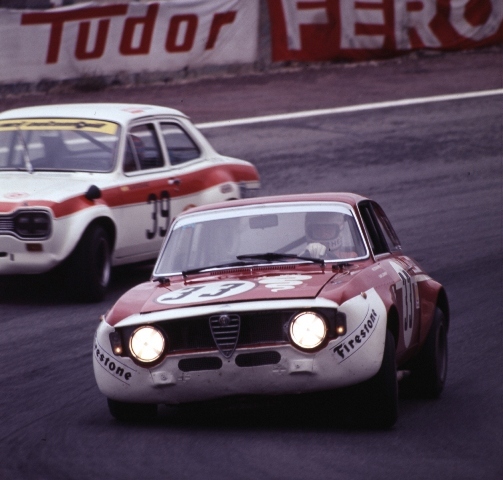 The GTA went on to claim the European Touring Car Championship for Alfa Romeo in 1971 and 1972, while the 1300 Junior which retained the aluminium body, with the later addition of flared wheel arches, was also successfully raced particularly in the hands of Toine Hezemans, “The Flying Dutchman”, who will be reunited with it at the 2014 Goodwood Festival of Speed. 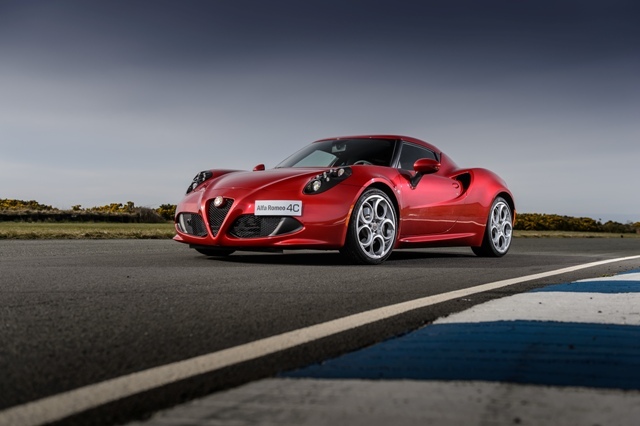 The award-winning Alfa Romeo 4C returns to the Goodwood Festival of Speed after making its UK debut and first dynamic appearance at the event in 2013. Embodying the best of Alfa Romeo’s DNA, the 4C is powered by a turbo-charged 1,750, all-aluminium engine which sends 240hp to the rear wheels via an advanced twin dry-clutch Alfa TCT transmission. Constructed predominantly from carbon fibre, aluminium and composites, the Alfa Romeo 4C can accelerate to 62 mph in just 4.5 seconds, reach a top speed in excess of 160mph, generate 1.2g of braking force, 1.1g of cornering force and tips the scales at just 895hp (dry weight). In addition to collecting numerous awards and appearing in countless magazine and website articles across Europe since its launch in 2013, the Alfa Romeo 4C also features regularly on television thanks to its role as Official Safety Car of the 2014 SBK Superbike World Championship and 2014 World Touring Car Championship (WTCC). 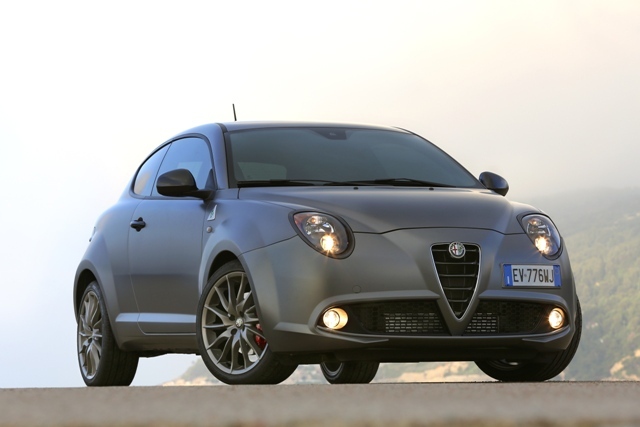 The new high-performance Alfa Romeo MiTo Quadrifoglio Verde makes its UK debut at the 2014 Goodwood Festival of Speed. 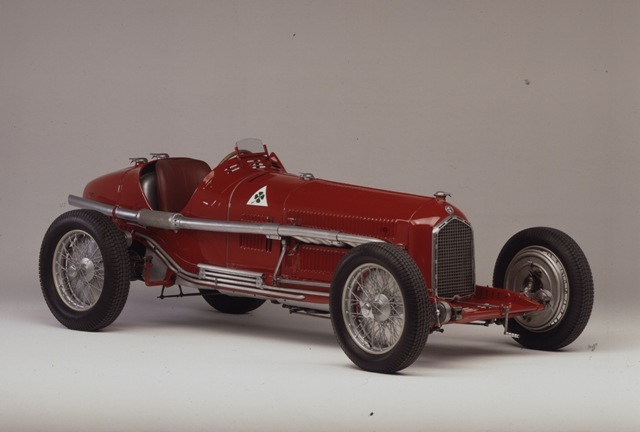 The first Alfa Romeo to bear the Quadrifoglio Verde was the ‘RL’ driven by Ugo Sivocci that won the Targa Florio in 1923. 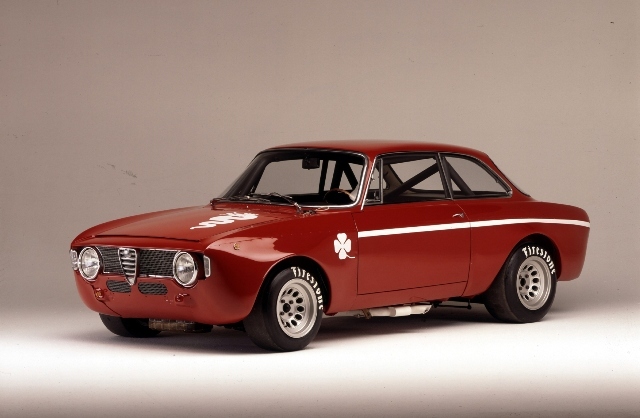 Since then all racing Alfa Romeo’s have carried the emblem for good luck and in the 1960’s they also began appearing on high-performance versions of road-going Alfa Romeo cars. The new ‘Quadrifoglio Verde’ versions of the MiTo follows in the tyre-treads of the best of these Alfa Romeo models, drawing on their heritage of performance and driving pleasure without compromising on efficiency, respect for the environment and everyday practicality. Powered by a 170hp 1.4-litre MultiAir Turbo Petrol 170hp engine, in combination with the ALFA TCT transmission (with steering-wheel paddle shifters) for the first time, the MiTo QV now accelerates to 62mph in just 7.3 seconds and tops 136mph but with improved economy and reduced emissions – 10% and 11% respectively. 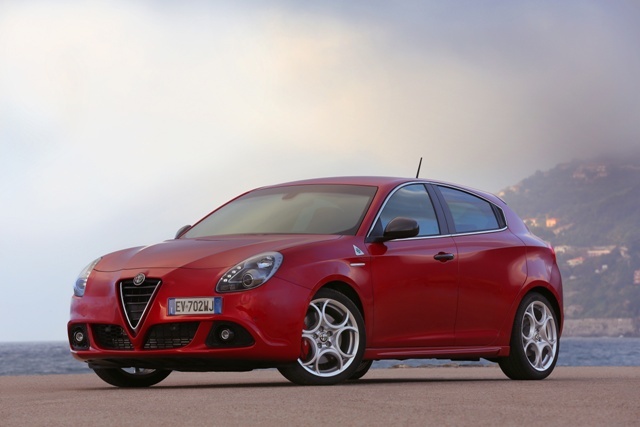 The Alfa Romeo Giulietta celebrates its 60th anniversary in 2014 with the new Quadrifoglio Verde high-performance version, which also makes its UK debut at the Goodwood Festival of Speed. Powered by the same 240hp, aluminium-block , direct-injection, 1750 Turbo Petrol engine – and state-of-the-art, six-speed, twin dry clutch ALFA TCT transmission – as the as the Alfa Romeo 4C supercar, the new Giulietta Quadrifoglio Verde also employs a similar Launch Control system as the 4C, which optimises engine, transmission and traction systems to accelerate the Alfa Romeo Giulietta Quadrifoglio Verde from 0 to 62mph in just 6.0 seconds – 0.8 seconds faster than the model it replaces! A new “QV Intake Engine Sound” system accentuates the full, exciting engine sound one expects from a high-performance Alfa Romeo while interior enhancements include a new flat-bottomed steering wheel; instrument panel with Quadrifoglio Verde logo and new wraparound sports seats with one-piece backrests.